The Arch Cape area is known for its many state parks and stunning beaches. Why not enjoy this beauty in one of our Arch Cape vacation rentals? 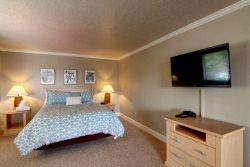 Conviently located not only to nature but to nearby restaurants and services, these lodging accommodations are an ideal choice! While still giving you the feeling of getting away from it all everything you need is right at your fingertips. All of our Arch Cape rentals are private homes with space to spread out, and many options are pet-friendly as well! Browse our Arch Cape rental homes below to find your perfect home away from home.